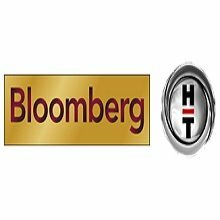 News TV Channel / Bloomberg HT is an economy channel that started broadcasting on January 27, 2010. Between 2010-2013 started with the bottom right corner. The channel director who started broadcasting from channel 1 is Suavi Doğan, economic director Kerem Alkin, research director Cüneyt Başaran, news manager Ali Çağatay, economy manager Özlem Dalga, operation manager Cem Coşkun and program manager Gamze Cücenoğlu. In addition, the channel passed the 16: 9 broadcast format on June 17, 2013. Since 2013, the logo has been moved to the bottom left corner.